I'm new to all this and this is the first time I'm growing. I have four nice Jack plants in semi-ideal conditions (still learning and dealing with pests, humidity etc.). Not sure if I should start flushing them since trichomes started turning cloudy and I'd like to catch that moment when THC levels are at their highest, meaning around 100% milky trichomes. Is it time yet or should I wait a week longer before I flush? Re: When to flush? Need advice. Thank you. Not all of them look like that, I just put that one photo since I wasn't sure. 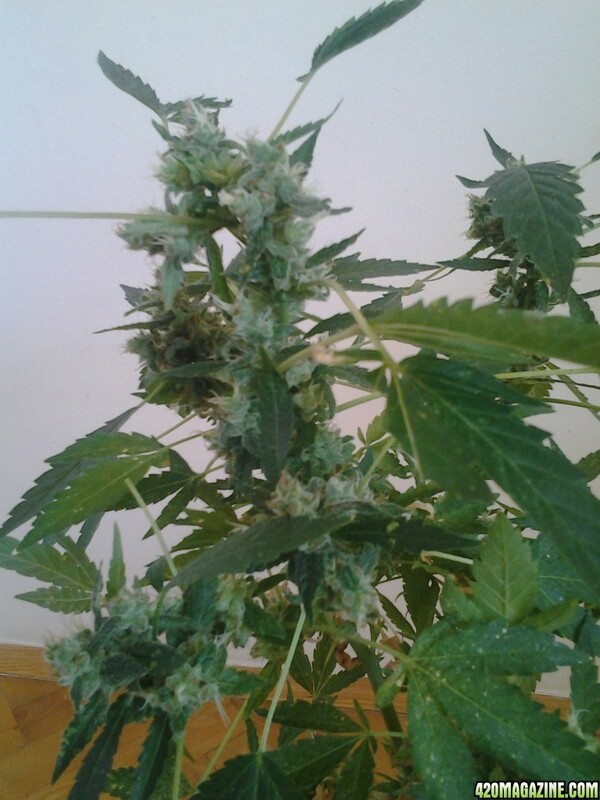 Buds are from other 3 plants. I'm shocked, not sure if positively or not. I have no idea how to proceed now, how long does it take for seeds to mature completely do you know? Thx for a fast reply. You saved the plant from being cut down. I opened one pod, a little white seed is inside. Will upload some other photos in a couple of moments. Here are the photos, any advice is welcome. Read it, thank you. Don't see that on my plants but there are tiny seeds inside. Is it too late to cut them down? And if I leave it like that will it turn into real seeds or just stay like it is now? We'd need to see the plants in order to properly advise you on what to do. 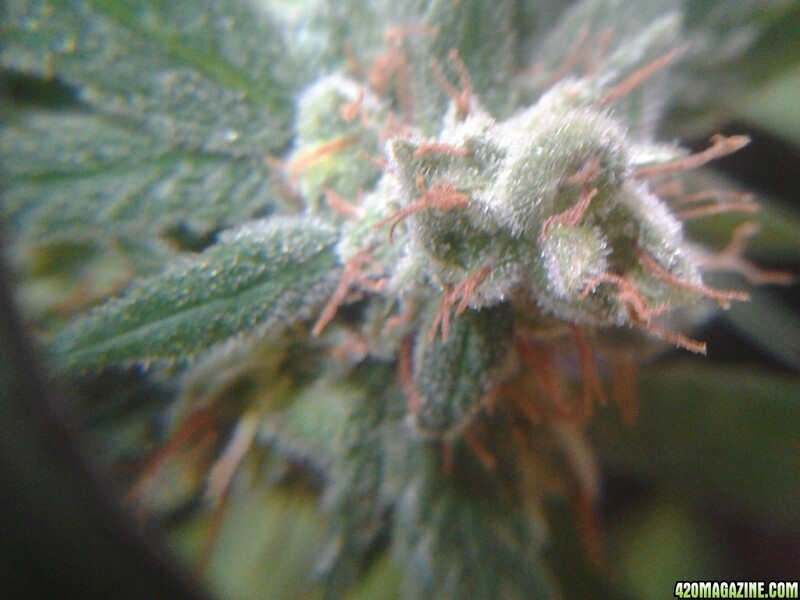 As for harvesting, you need a 30x minimum scope to be able to properly see the trichomes. That's the only way to tell. 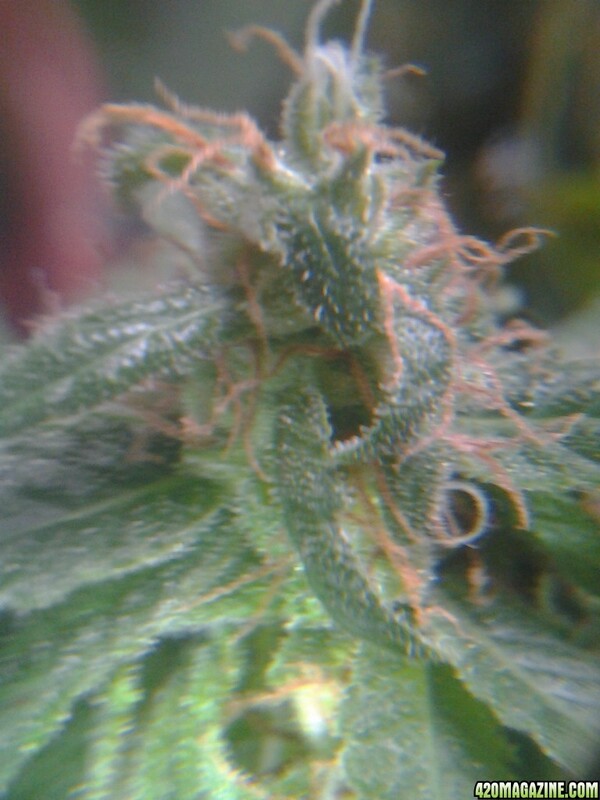 I have a 40x scope and trichomes are slowly turning cloudy, I'd say they are around 50:50 clear:turning cloudy. Ok, and which species, or percentage of each if hybrid? EDIT: And what is the exact strain? Exact age of plants? How long in flower? The plans are from March and they are a little over 3 months in flowering. I had some problems with my conditions, my guess is that's what slowed them down a bit. 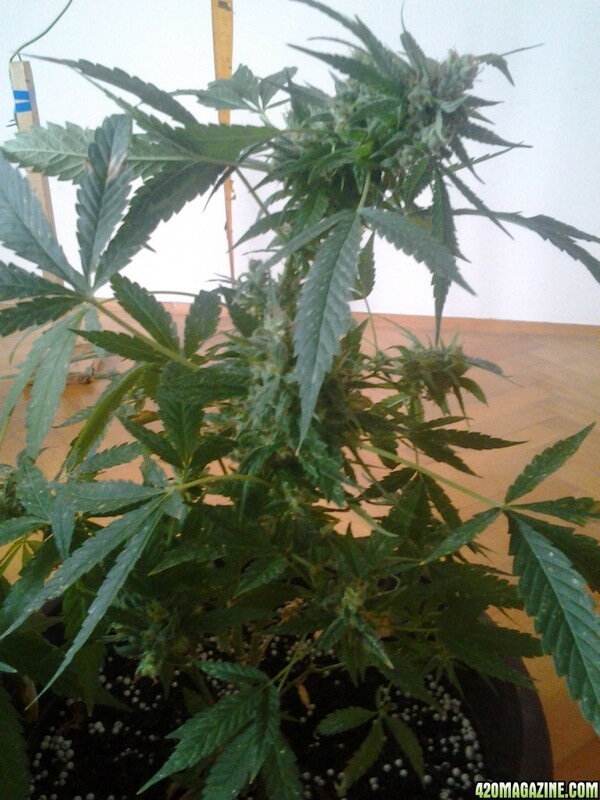 These were Jack Feminized seeds, mostly Sativa, flowering time 10-13 weeks. Have to check one more time but yes, I think that's the strain. There are multiple strains with the word Jack in them. I need to know the exact name. But if they're mostly Sativa, you'll want to go for a high % of cloudy with very few clear/amber for an energetic head high. Thank you. It's mostly Sativa, I'm sure of it. Jack Fem is the name (of Jack Herer variety)... One plant has trichomes turning amber. Looks like they wont be done at the same time which I was hoping would happen. Three full months in flowering in two weeks. I'm thinking about flushing them today/tomorrow and see how they look when the time comes. Do you think it's too early to flush now? I still can't find it. I need way more info. When checking trichomes, do NOT look at the trichomes on the sugar leaves. 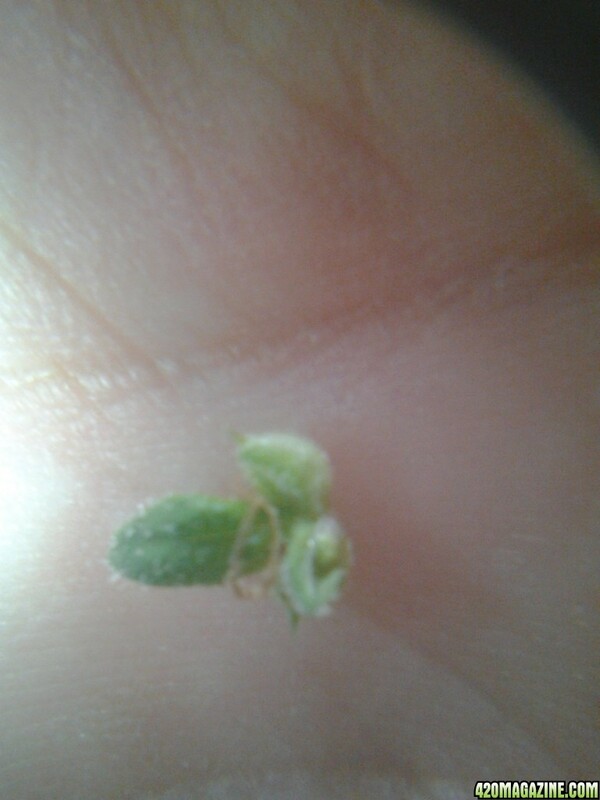 You want to look at the trichomes on the bud itself. They can mature at different rates in some strains. I can't tell you when to flush until I know the exact strain, and I need a better idea of the % of trichomes on the buds. Found the info, the strain is Sannie's Jack. Would trichomes photos help? Thx for your help, I really appreciate it! Alright, flowering time is 10-13 weeks. And it's a Sativa dominant, so you want a harvest with very few amber/clear. Are you growing these indoor or outdoor? If indoor: What type of lighting? What was the exact date you switched to 12/12 lighting? Are you using a timer for you lighting?